Sun Fund CEO Michael Licamele Appears on ICOInvestor.tv. Sun Fund CEO Michael Licamele introduces and then speaks later in this clip from ICOInvestor.tv which attended Crypto Mondays NYC on January 22, 2018. Following these comments on January 22, 2018, the chair of the SEC testified in a congressional hearing this past Tuesday that in his opinion all ICOs were securities and that the SEC would be taking enforcement actions against unregistered ICOs in the United States. Sun Fund is conducting its SEC compliant Pre-ICO offering through an SEC-registered portal. Click here for the full offering. 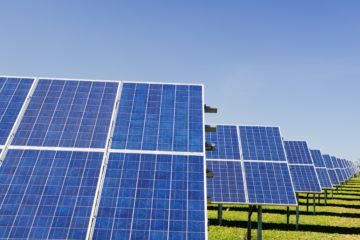 Sun Fund is tokenizing the renewable energy sector with an asset-backed digital currency and supporting blockchain infrastructure technology. An asset-backed digital token creates a currency with real value from revenue-generating renewable energy assets. 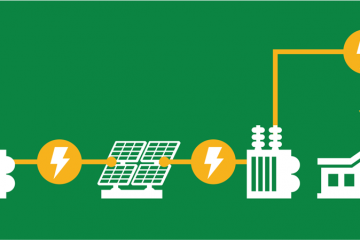 Unlike other blockchain projects in the electricity and renewable energy sectors, Sun Fund is focused on building an asset-backed token to connect investors directly with renewable energy producers. Sun Fund’s decentralized applications will allow investors and producers to interact on a peer-to-peer basis, eliminating the friction of the current system and opening up investment to renewable energy projects of all sizes globally.